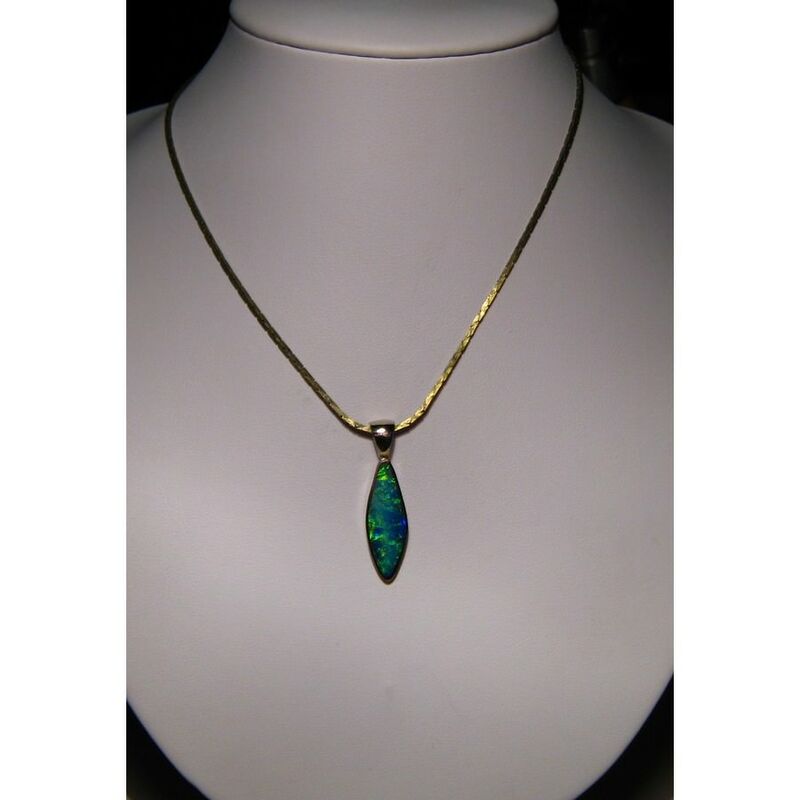 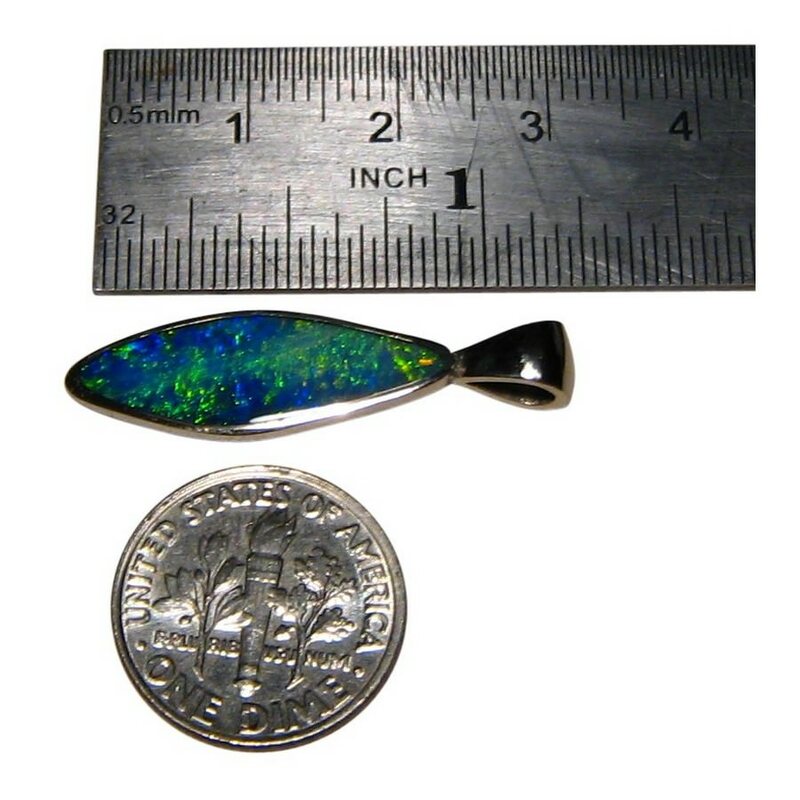 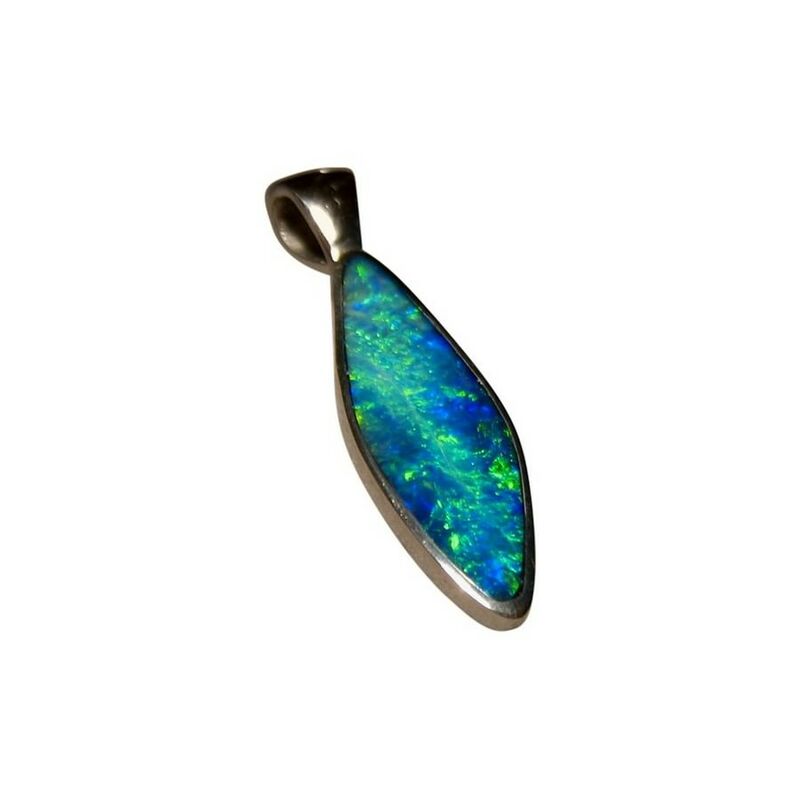 An Opal pendant that could be worn by men as well as women and has a beautiful mix of Blue and Green. 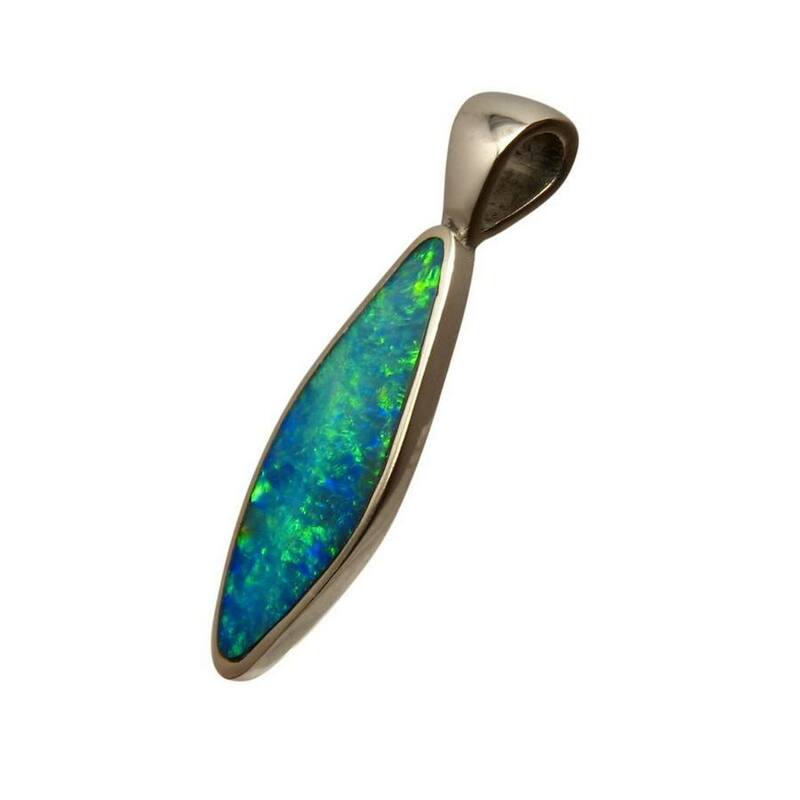 This Opal pendant is a 14k White Gold setting that is inlaid with one free form long Diamond shape Black Crystal Opal from Lightning Ridge. 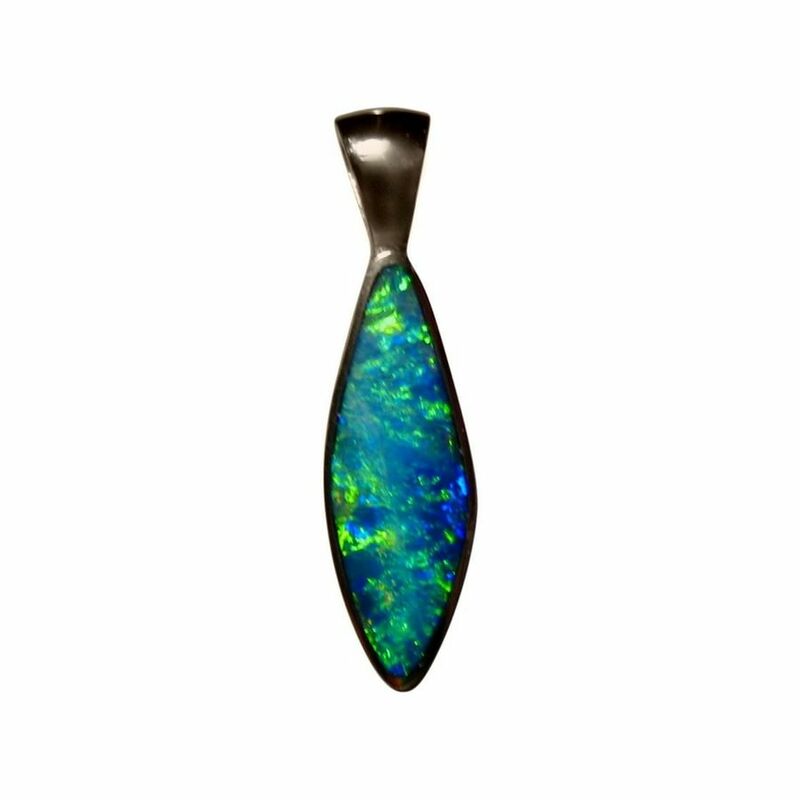 The Opal is Green and Blue in a flowing play of color which you can see in the video below. 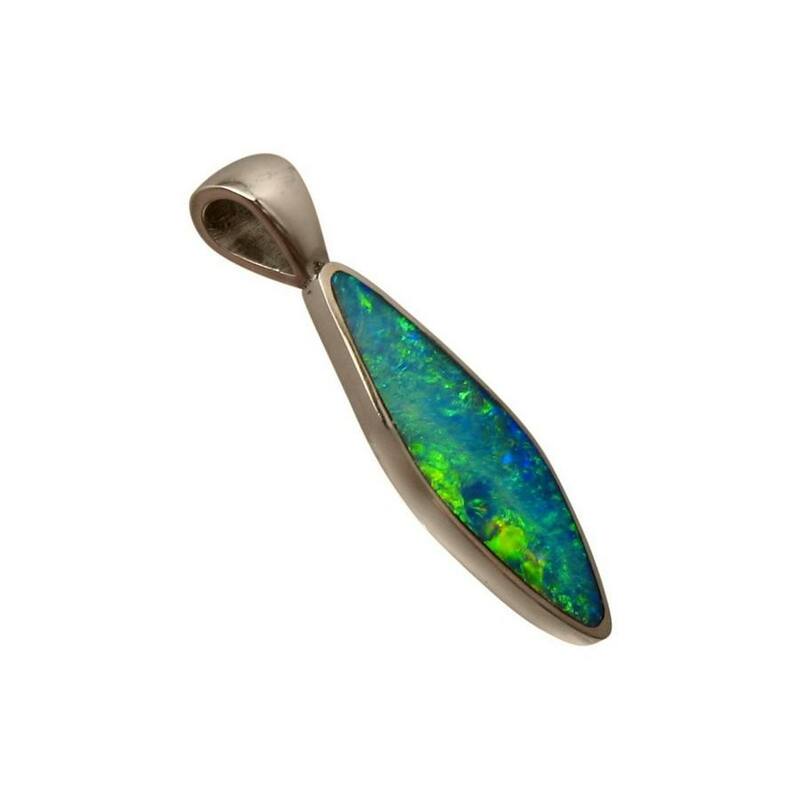 The complete Opal pendant, including the bale, measures just over one inch long and will be noticed when worn.